Get ready to practice your aim with the help of this top notch trio of throwing knives! 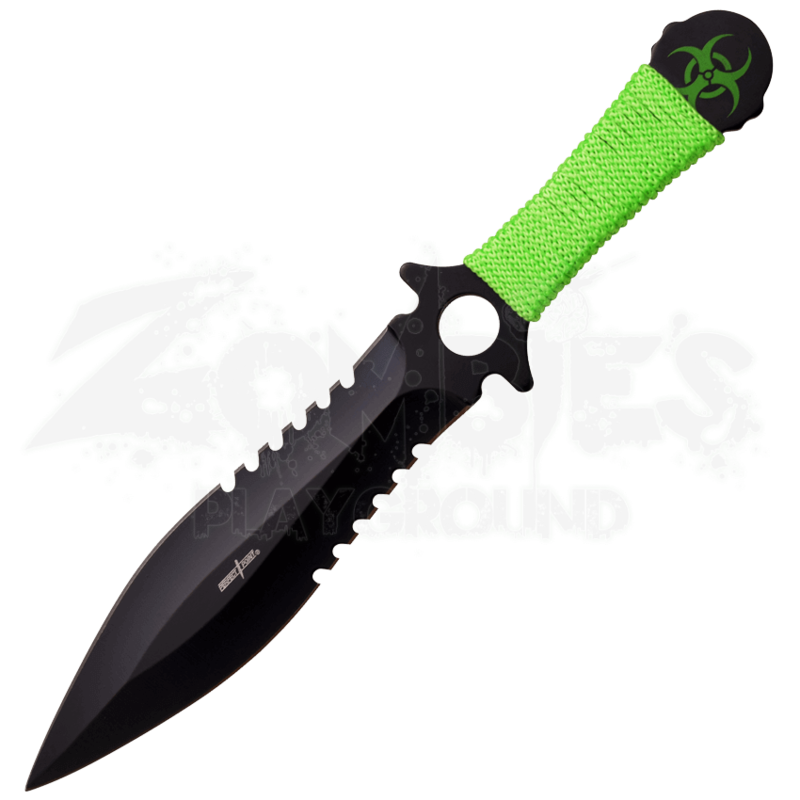 The 3 Piece Biohazard Throwing Knives are well-constructed and show off a striking look inspired by the looming zombie apocalypse. Crafted from thick stainless steel, the spear point throwers feature a black finish that looks dramatic next to the bright green cord that wraps the handles. 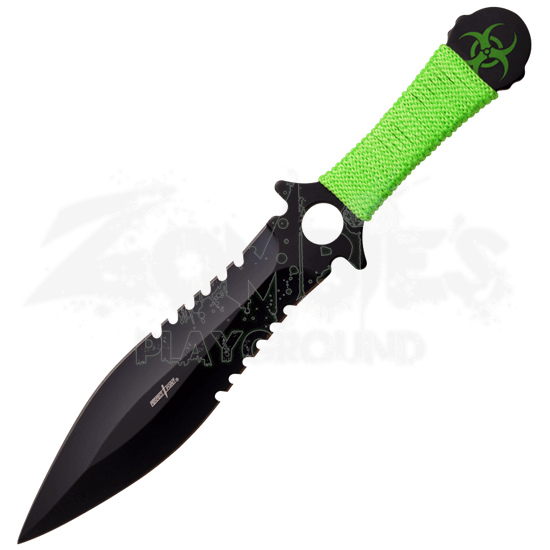 A green biohazard symbol marks the end of each zombie throwing knife. Small serrations provide the finishing detail to sections of the blades. These steel throwing knives come with a nylon sheath that makes it simple to store and carry them wherever you go.